Heather D. Diddel is a partner in the litigation, arbitration, and mediation, and labor and employment law departments at Whiteman Osterman & Hanna LLP. She joined the Firm in 1988, having worked for five years at Patterson Belknap Webb & Tyler in New York City. For over 25 years, Ms. Diddel has represented clients in a broad spectrum of litigation matters, including employment discrimination cases and other labor and employment matters in federal and state court, as well as before administrative agencies. In addition to litigation, Ms. Diddel provides daily counseling to clients on employment and labor matters arising under collective bargaining agreements as well as numerous state and federal statutes including FMLA, ADA, ADEA, Title VII, FLSA, and New York State Human Rights and Labor laws. Ms. Diddel lectures and regularly conducts in-house training sessions for clients on sexual harassment and other employment discrimination and employment-related issues. 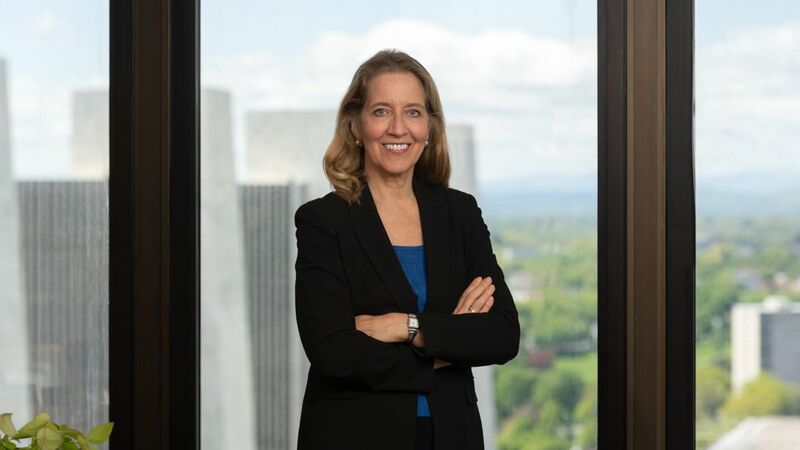 She has served as a member of the Second Circuit Task Force on Gender, Race and Ethnic Fairness in the Courts, as a Board member for the Capital District Women’s Bar Association, the Northeast Regional Food Bank, and The Legal Project, and as counsel for the Albany-Colonie Regional Chamber of Commerce. Represented a corporate client in a complex federal age discrimination case involving new management and termination of a senior administrator. Won on summary judgment and successful appeal to the United States Court of Appeals for the Second Circuit. Successfully defended a client in a state discrimination litigation alleging violation of New York State’s civil rights law in a case of first impression in New York. Successfully represented numerous clients before administrative agencies and federal courts in discrimination claims brought under Title VII, ADA, ADEA, FLSA, FMLA, New York State Labor and Wage and Hour Laws, and New York State Executive Law. Counsels corporate clients on day-to-day employment and labor law issues arising under collective bargaining agreements, state and federal statutes and New York State common law. Ms. Diddel received her J.D. degree from Columbia University School of Law and her B.A. degree from Brown University in Russian Studies. She also studied at Leningrad State University in the former U.S.S.R., the Pushkin Institute in Moscow, Russia, and the Institute Catholique in Paris, France. She has traveled extensively throughout the former USSR and Republics, Eastern and Western Europe, Asia and South and Central America.